Havok's head of product management predicts that in the coming generation of consoles, gamers will be able to smash everything. Everybody likes destruction, right? 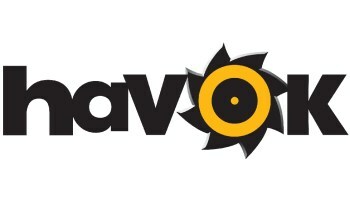 But probably nobody more than Andrew Bowell, the worldwide head of product management at physics middleware maker Havok, whose technology has been used in hundreds of games to very impressive effect. But with a new generation of hardware on the way, Bowell said it's time for videogames to up the destructo-ante even further. "The way that ragdolls became the last generation thing and everything had to be ragdolls, we reckon next generation, everything's going to have to be destructible," he told GamesIndustry. "It will be no longer acceptable to walk into a room where you can't punch a hole in the wall or break a table and see it splinter." That evolution would obviously be good for Havok but Bowell said it will also benefit developers, who won't have to "waste time writing actual tech," he explained. "Guys that I talk to and publishers, they just want to get their games to market as quickly as they can. I think it's a great opportunity for all middleware, to be honest." I'm generally a pro-'splo kind of gamer, but I have to admit that the technology uber alles approach that appears to be on display here makes me a little twitchy. Blowing stuff up is fun but as id Software used to remind us on a semi-regular basis, great tech is a means, not an end.